Nevertheless, the development has received prominent coverage on the websites of major Indian media outlets, with the PTI news agency reporting that the Chinese had halted the work in an aggressive manner. The incident was reported to have taken place in the afternoon in the Demchok sector, located 250 km east of Ladakh’s capital Leh. The project was stated to be meant to link a village with a hot spring in Demchok. 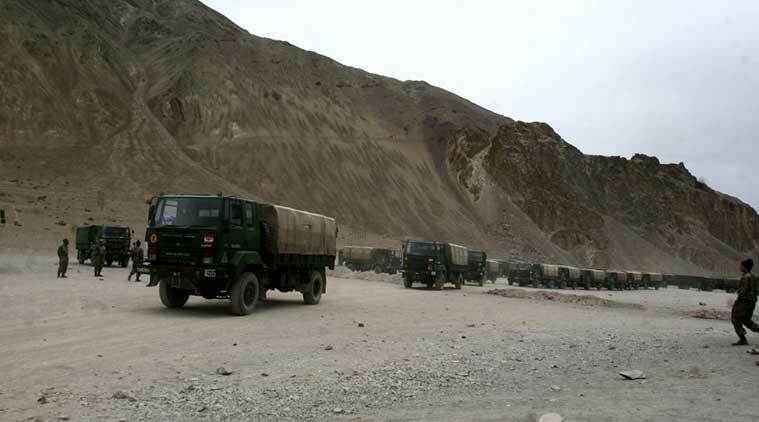 Demchok, located in the south eastern tip of Ladakh, was also the site of a major incursion by Chinese troops posted on the border of occupied Tibet two years ago. It resulted in a spike in tension between the two countries which was resolved only after high level interventions. The incident was reported to have begun when a group of around 55 Chinese soldiers arrived at the scene along the Line of Actual Control or de facto border and halted the work. This prompted some 70 Indian Army and the Indo-Tibetan Border Police (ITBP) personnel to rush to the spot to stop the high-handedness of Chinese troops, said timesofindia.indiatimes.com Nov 3. The Chinese troops were reported to have demanded that the work be stopped as either side needed to take permission before undertaking any construction. However, this claim was disputed by the Indian side which said information about projects needed to be shared only if it was meant for defence purposes. Both sides were reported to have pulled out banners and to have remained stationed on the ground, with the Indian side not allowing the Chinese to move an inch ahead despite their claim that the area belonged to China. Incursions from both the sides along the Line of Actual Control were reported to be common because the armies cannot agree where it lies. One of the more serious developments took place in 2014 when the Chinese protested against an Indian work on an irrigation canal, saying it was located inside what was Chinese occupied Tibetan territory. Some 500 Chinese soldiers entered the area and swiftly built a 2-km road, noted the ndtv.com report. The development led to around 1,000 soldiers from each side being ranged against each other for days until the confrontation subsided.